Pesticides. Preservatives. Polluted air. 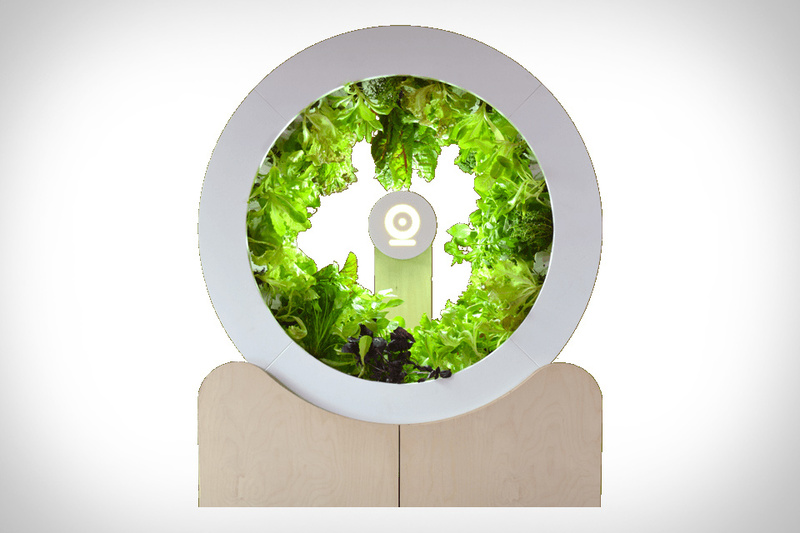 The Ogarden Indoor Farm lets you grow up to 100 herbs and vegetables without any of those harsh contaminants. Housed in a large sphere, plants grow in a vertical manner while rotating in a circular motion. Other than looking really cool, the slow movement and shift in orientation also grow stronger plants. A programmable bulb at the center of the wheel gives your garden the right amount of sunlight and watering is only required a couple times a week. They currently offer 30 different types of organic seeds, ranging from Greek Oregano to Oak Leaf Lettuce, or you can use a variety of your own.